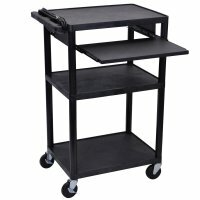 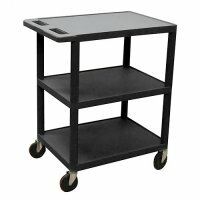 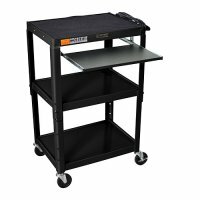 Hydraulic adjustable multi-media cart, adjusts from 30"-37" in height. 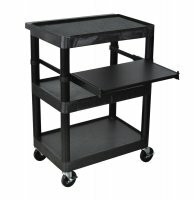 The base of the cart can be used as a printer or CPU platform. 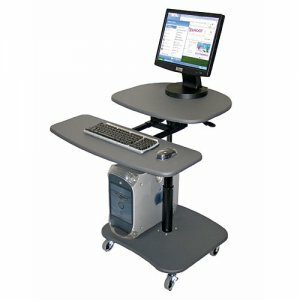 Constructed of heavy-duty laminate with a steel frame. 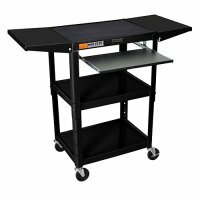 Work Surface Dimensions: 24" W x 29" D.
Pull-out Keyboard Shelf Dimensions: 27" W x 12" D.